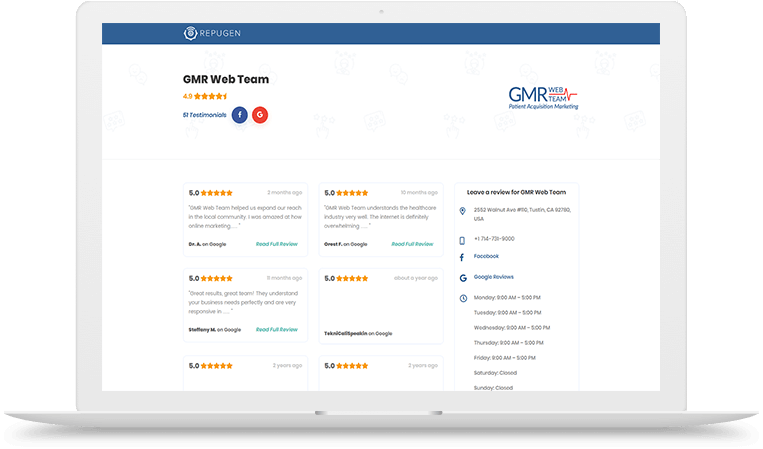 Easily add a FREE testimonials page to your website and show all your positive reviews in one place! With just a few pieces of information, your practice will stand out amongst your competitors. Enter your business details to get your FREE testimonials page. Why do I need a testimonials page? Studies have shown that consumers now weigh opinions from strangers just as heavily as personal recommendations from friends. Your patients are no different. 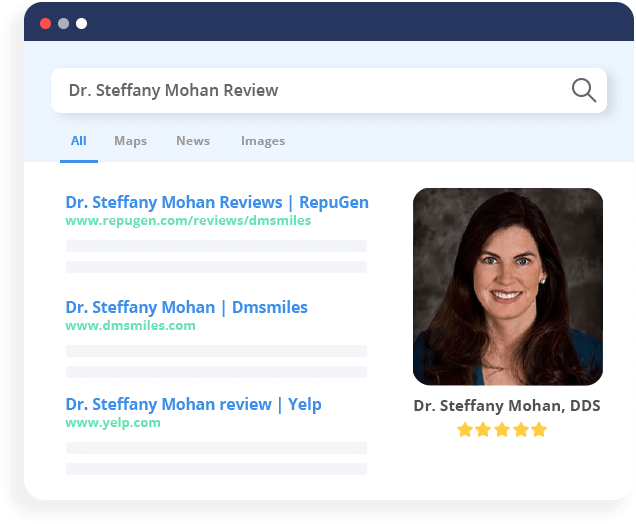 A verified RepuGen testimonials page will help your prospective patients easily learn what makes your practice the right choice. Simply fill out the form and immediately receive your page in your inbox, with instructions on how to add it to your website. Your page will automatically update every time a new review is posted on Yelp, Google or Facebook. Your page will also start showing in each search results, will all your positive testimonials at the forefront of your online presence. Where do we get your testimonials from? RepuGen will scan the following review sites to pull your testimonials. Need more testimonials or don't have any in the first place? Contact us to learn how to get testimonials from your patients.